Iriondo's vibrating iron guitar strings meet the crushed rhythmic and the vocal hallucinations of Bertacchini. Pure sonic anarchy for two main players of the last quarter century of Italian outer music. Lato A | Bachi Da Pietra feat. 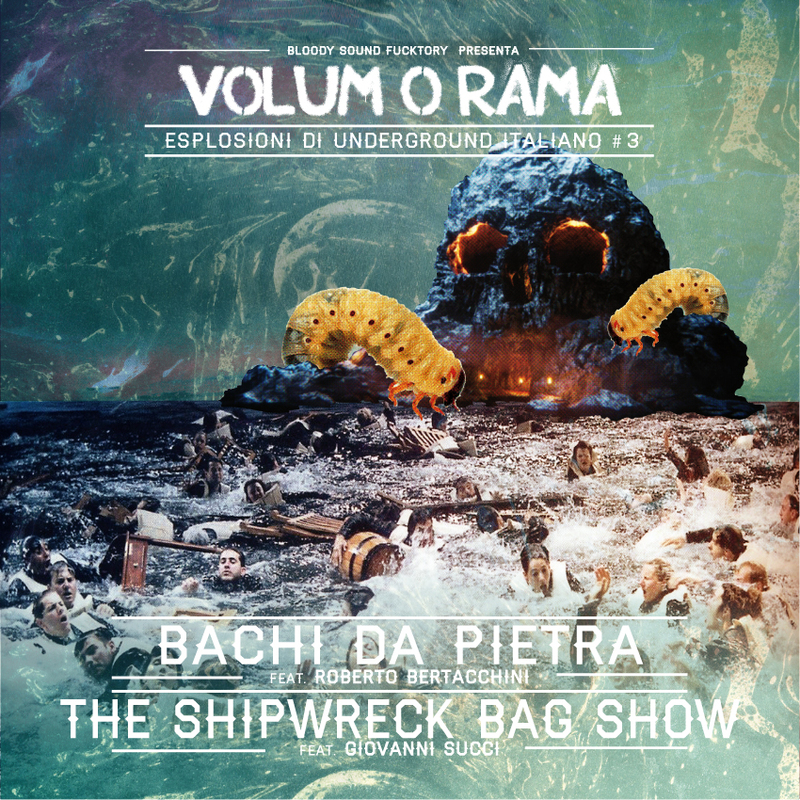 Roberto Bertacchini "Figli Dei Giorni Silenziosi"
Lato B | The Shipwreck Bag Show feat. Giovanni Succi "Roccia"